If you want to gain mass, the daily total caloric intake is of primary importance! Unless you provide optimal energy for your body to perform, repair and build, nothing will happen. Above average weight active athletes may even need around 5,000 calories a day to maintain their muscle mass and performance level, and may require even more serious nutritional support to exceed their current level. 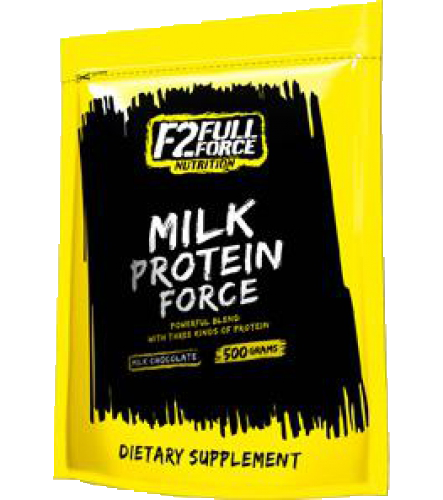 Forced Mass Gainer is an excellent quality muscle gainer and post-workout formula that is able to provide this support. Forced Mass Gainer has 3 types of animal protein, the best kinds: whey protein, casein and total milk protein, combining their benefits! To enhance the muscle building effect, the Forced Mass amino acid matrix was also included in the formula. Forced Mass Gainer gives you the necessary calories and carbohydrates to refeed the muscles after training, spare protein and establish positive energy balance for muscle tissue growth. With Forced Mass Gainer you can quickly build muscle and strength, stop catabolism, increase recovery rate, support the immune system and raise the production of antioxidants in the body. Unbelievable price on Full Force Forced Mass 5000 in Kathu (Thailand) company Thailand-Hungary Investment Agency, Company.